The ADEA Board has 9 Directors 6 of whom are CDEs and 3 can be Independent Directors. The Board elects three (3) Office Bearers – President, Vice-President and Finance Director – from among its Directors. The President and other Office Bearers are elected at the Board meeting preceding the Annual General Meeting held during the ADEA-ADS Annual Scientific Meeting. CDE Board Directors must have had a financial full membership of the Australian Diabetes Educators Association (ADEA) for a minimum of 12 months before being eligible for nomination. CDE Directors are elected by ADEA full members and Independent Directors are nominated and appointed by the Board. The position is honorary. The ADEA Constitution allows for 2 terms of three years and provides detail about how ADEA is governed. Directors must meet the requirements of the Australian Securities and Investment Commission’s (ASIC’s) which includes not having been declared bankrupt. Directors are accountable to the President and ultimately to the membership. They are responsible for the determining the strategic and policy direction of the ADEA. The ADEA encourages all its members to learn more about ADEA governance by referring to the ADEA Constitution, By-laws and watching the governance video on the ADEA YouTube channel. Brett has been a Diabetes educator for 12 years, initially working at Baker IDI Heart and Diabetes Institute before moving to Central Coast Local Health District 3 years ago. He has held management roles at both organisations and has experience coordinating local, state and national projects. Brett has a Bachelor in Nursing and Graduate Certificate in Diabetes Education. He has mentored a number of ADEA members to help them achieve their goal of becoming a Credentialled Diabetes Educator and has presented poster and oral presentations nationally and internationally. 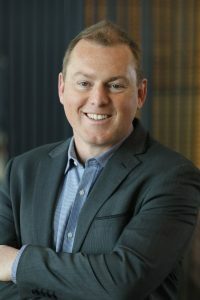 For the past 13 years, Brett participated in camps for children with diabetes in Victoria and has provided advice and clinical expertise for university and pharmaceutical company advisory committees in Victoria and NSW. 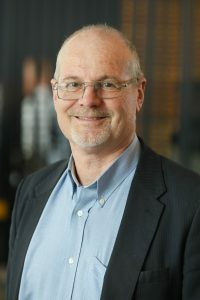 Brett is honoured to have the opportunity to represent NSW on the ADEA Board and is committed to continuing to promote the role of the Credentialled Diabetes Educator and provide a close link between the ADEA membership and the ADEA board. 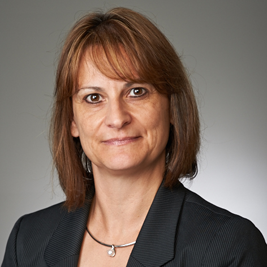 Nicole completed her Bachelor of Pharmacy in 1996 at Curtin University WA. Her pharmacy experience includes hospital and community pharmacy and roles in teaching. To continue to provide and expand patient care with a focus on Quality Use of medicines further study was required and Nicole gained accreditation with the Australian Association of Consultant Pharmacy. This experience was valuable when working for the National Prescribing Service providing educational visits to general practitioners and allied health. Nicole is currently employed at GP down south providing a diabetes service within general practice. Nicole became a credentialed diabetes educator- enabling expansion of the service at GP down south and also including providing private practice. The experience and knowledge gained as a diabetes educator has been invaluable in the HMR (Home Medicine Reviews) and RMMRs (Residential Medication Management Reviews) that Nicole provides as a consultant pharmacist. Maria lives in Adelaide and is the Chief Financial Officer and Company Secretary of Ellex Medical Lasers (ELX), an ASX listed company. Australia’s largest manufacturer and distributor of medical devices with a Global distribution footprint.. She has over 26 years of senior financial management experience in public and private companies, specialising in international tax and statutory reporting, corporate compliance, business strategy development, system improvements, risk management and governance. Maria started her career as an Assistant Accountant in various manufacturing companies and progressed her career to include Finance Manager of Penrice Soda Holdings Limited, an ASX-listed company that owns and operates the largest marble and limestone mine in Australia, Group Accountant at Minelab Electronics Pty Ltd a leading distributor of metal detectors for gold mining and landmine clearing, now part of the Codan (CDA) Group. .
Maria holds a Master’s Degree in Professional Accounting from the Southern Cross University and is a Certified Practising Accountant (CPA). A member of the Governance Institute of Australia after completing her Applied Diploma in Corporate Governance and Australian Institute of Company Directors. Derek is one of Australia’s leading contact centre specialists. He has over 22 years’ experience in setting up or re-engineering centres across Government, Not for Profit and Corporate both as a direct manager and as a consultant. Prior to this career, Derek was a senior local govt officer in the UK specializing in social housing and was deputy chair of housing association. An experienced change manager Derek is also a national and international contact centre awards judge as a conference speaker. He has been an active member of the industry peak body Auscontact and was elected National Director for 6 years and served 2 of these as national chair. In 2015 he was awarded Life membership for his contribution to the Association and the contact Centre Industry. 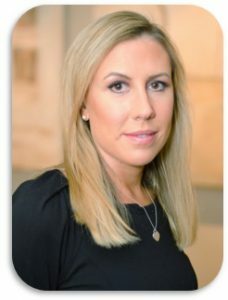 Jessica Miller is the Senior Legal Counsel and Government Relations Ambassador (ANZ) for the Procter & Gamble Company (P&G) and is based in Sydney, Australia. Jessica graduated from the University of Technology, Sydney with a Bachelor of Laws (First Class Honours) and a Bachelor of Business (Accounting). Jessica went on to do postgraduate study and completed a Master of Laws at the University of Sydney. Jessica started her career at Blake Dawson (now Ashurst), based in the Corporate (mergers and acquisitions) team in Sydney. She worked predominantly on corporate transactions and advisory work for clients in the healthcare sector, as well as acted for various state-owned Chinese enterprises investing in Australian mining joint ventures and food and beverage companies. In 2011, she left private legal practice to take a position in Sydney as the in-house legal counsel for Medtronic, the world’s largest manufacturer of medical devices. In this role, Jessica acted as the company secretary and privacy officer and supported the General Counsel in the provision of legal advice to the Australian and New Zealand businesses. During the General Counsel’s maternity leave, Jessica was the acting General Counsel and legal representative on the organisation’s Executive Leadership Team. In May 2015, Jessica joined P&G as the head of the legal function in Australia and New Zealand, and Government Relations Ambassador. Jessica sits on the Australian Leadership Team and is a company director of the four legal entities that remain in the P&G group. In this capacity, she is working directly with senior P&G executives in the provision of legal advice and risk management for the business. Tracey is the Clinical Nurse Consultant at the Ipswich Diabetes service and has a strong focus on service delivery, the ongoing education of diabetes educators, mentoring and growing of new diabetes educators and to ensure that people with diabetes receive the right care, in the right place and in the right timeframe. Tracey also sits on the steering committee member of the State-wide Diabetes Clinical Network in Queensland for the past eight years. This network is responsible for many excellent clinical improvements that have improved the care for people with diabetes across Queensland. Ann has 20 years experience as a RN CDE working in metropolitan acute care, rural community health and more recently in private practice. Ann has just completed 6 years on the VIC Branch Executive. She has also been a member of the ADEA-VIC Branch Conference Organising Committee. Recently she represented ADEA as a member of a health advisory panel working with the Victorian Department of Education and Training. Ann is passionate about diabetes education as a profession, the sustainability of Private Practice, and the future of ADEA and its role in assisting its members. Her focus is ensuring the the CDE Role is evidence based best practice and ADEA’s ability to Advocate and Lobby for their members. As an ADEA member for close to 20 years, Helen has had the opportunity to work with many inspiring, thoughtful and professional people. 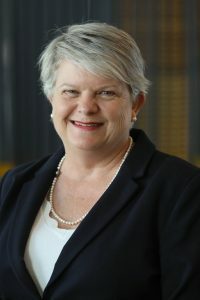 She has held roles including the ADEA-NSW Chair, member of the Credentialing Committee, ADEA-NSW Conference Organising Committee, Project Officer on the ADEA Mentoring Program Pilot Project, and more recently as a reviewer of the ADEA DRF grant applications. 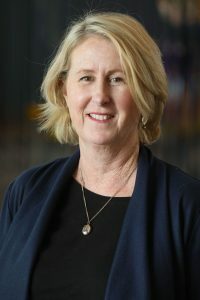 As a paediatric nurse, clinical nurse consultant and Credentialled Diabetes Educator, Helen has held positions at a number of Tertiary Referral Hospitals and Diabetes Australia-NSW. 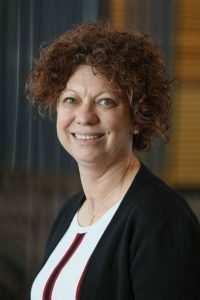 More recently, she has held project management positions working to develop the NHMRC Evidence-Based Guidelines for Type 1 Diabetes and the Australasian Diabetes Data Network. She has been awarded a Master of Public Health and is currently enrolled in the PhD program at the University of Sydney. At this stage in her career, Helen has developed a unique skill set. She is a great communicator who has a real feel for the opportunities and challenges for diabetes education. 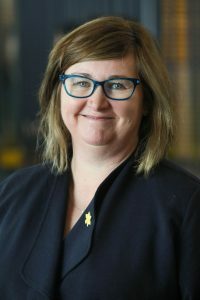 She is passionate about the Credentialled Diabetes Educator role and is honoured to have the opportunity to contribute to the direction of ADEA as the new board director.